Mickey has an accident when a truck driven by Malcom Trevor played by Cary Grant knocks him down, not severely injured though. 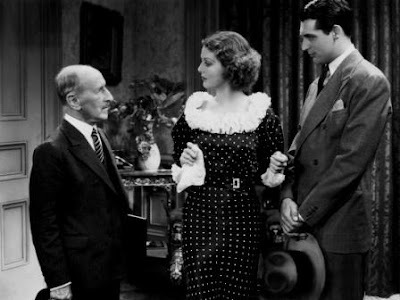 Knowing Malcom is rich, Letty played by Loretta Young schemes to make money by issuing a lawsuit on Malcom. She is proven guilty for lying and also accused of being a bad mother for having taught her son to lie in court and fake his injury. Mickey is taken away from her. Malcom and his wife Alice happily accept to raise Mickey as they cannot conceive their own child. With time, Mickey is attached to both of them and this fact makes Letty jealous. She wants Mickey back and also some fortune of Malcom’s. She pretends to be sick and seeks refuge at Malcolm’s house when her plan of running away with Mickey fails. She seduces Malcom and records the conversation to blackmail him. Her plans turn sour when Malcom tells Alice about him being in love with Letty and she accepting it. Letty learns a lesson in seeing the selfless love of Alice and decides Alice and Malcom to have Mickey so that he becomes a good man. She returns to her old job, at the book shop and the movie ends there. However, this movie had other claims to fame. 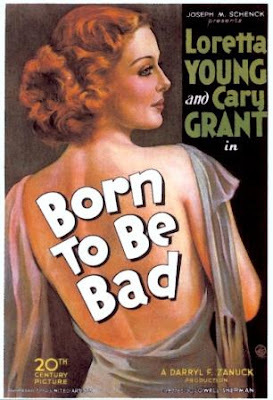 It ran into censorship problems from the start because of skimpy outfits worn by Loretta Young. It was rejected twice by the censor board (Hays office). After several cuts and retakes, this movie was eventually passed and given an approval certificate. 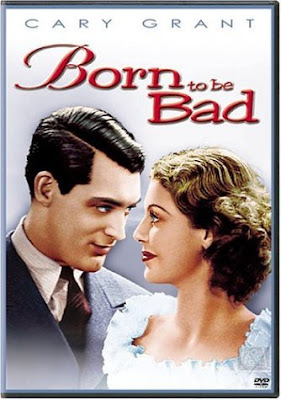 Released in 1934, Born to be Bad was directed by Lowell Sherman.